After visiting and walking around Katanga for the past six years, it was becoming clear to see that poverty was a relationship of two things 1) A lack of opportunities and 2) the fear of not being able to provide for tomorrow. The children often take turns to lead the other students in our Catch-up Class, this gives the teachers a chance to see how well the children understand a certain lesson. The students in the Salon this week learning a variety of new techniques. We are excited to be installing our latest purchases for the Salon in the Livelihoods centre. 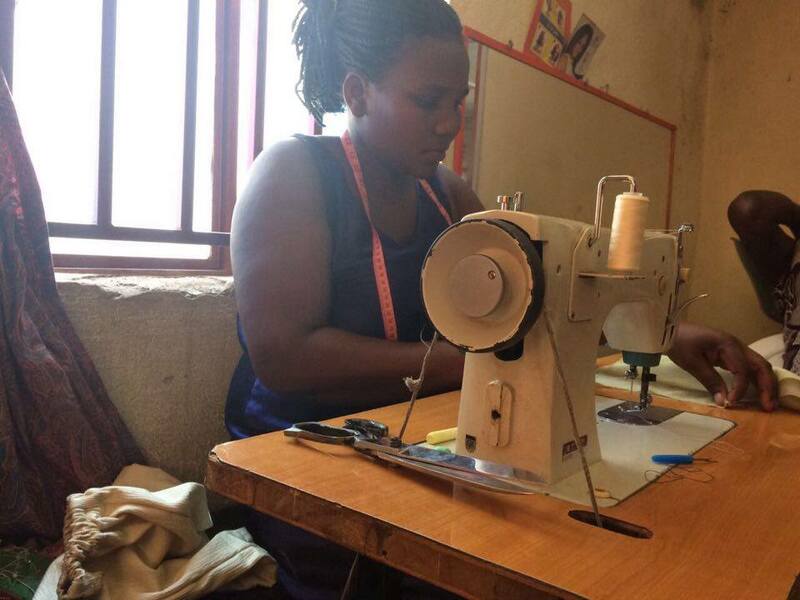 We are excited for being able to better equip more women towards living a self sufficient life. Massive thanks to all those who donated towards seeing the salon and equipment, including all those who contributed through coming to our 5th Birthday in 2016. 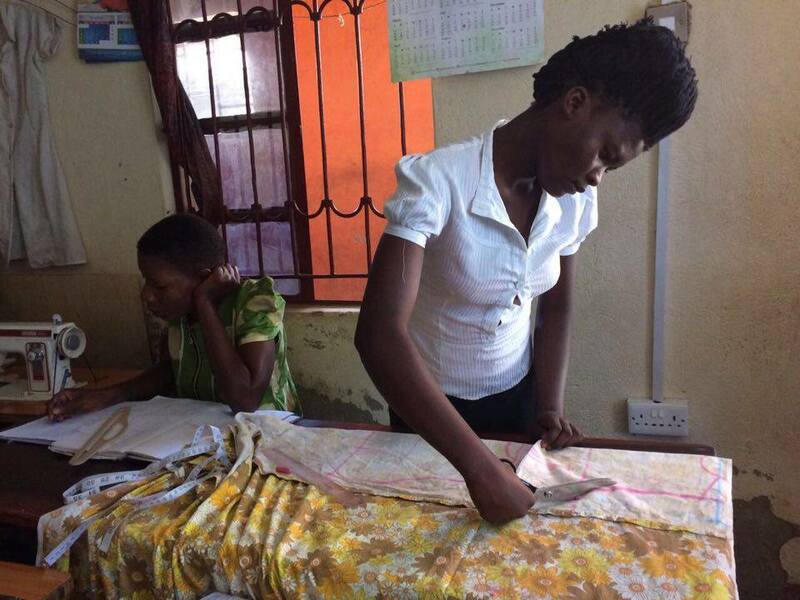 In Uganda it is the women that hold the household together, yet it is the women that are discriminated against. 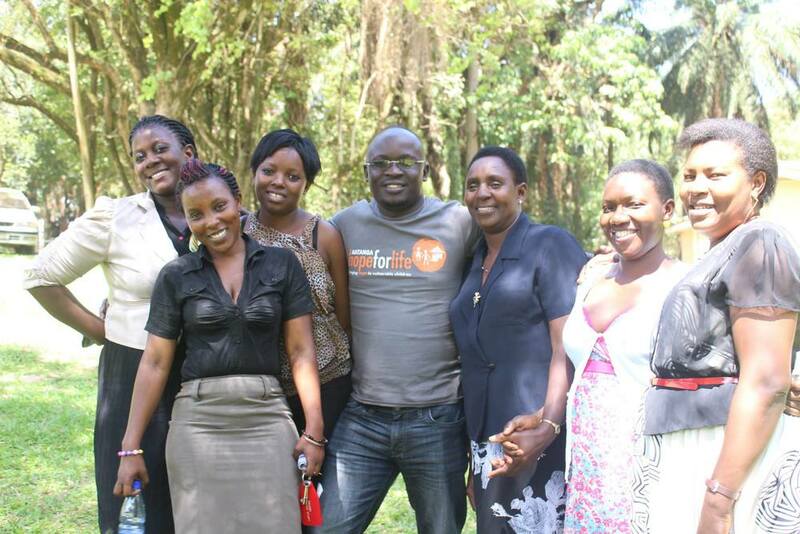 It is with this in mind that the founders of Hope for Life Katanga identified women as their direct beneficiaries. 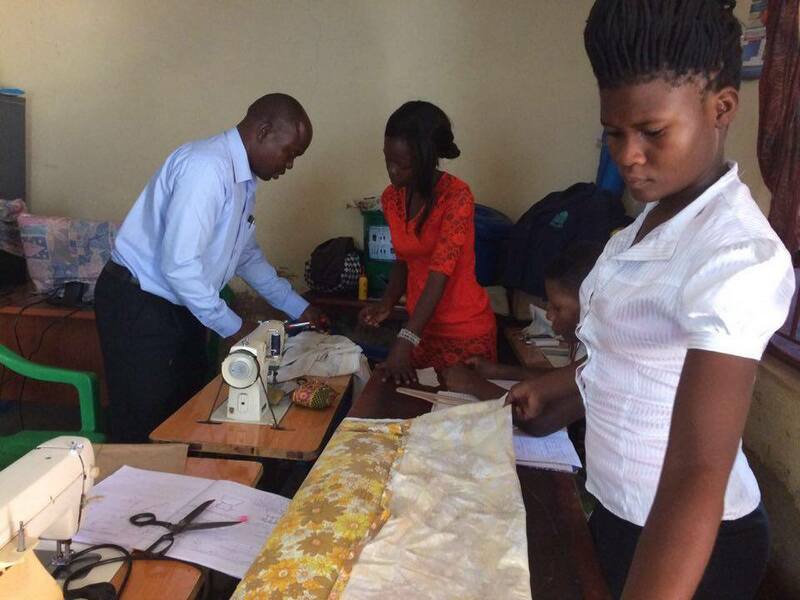 Today Francis (Uganda Director), Maureen (Livelihoods Officer) and Daisy (Education Officer) have been meeting with the graduating tailoring class to continue working through the transition from vocational training to entrepreneurs. Hope for Life Katanga is a CBO (Community Based Organisation) in Uganda, which means our beneficiaries are also members of the organisation. Their input both positive and negative is valued greatly in how we construct our programs going forward. At the start of this school year in Kampala, Hope for Life was able to provide formal schooling for 42 children and young adults from Katanga. This was the most we have ever sent and this is amazing! It is also, currently, almost completely useless. That’s right, I said, and meant, useless. I chose that word carefully though because I certainly do not mean to say pointless. 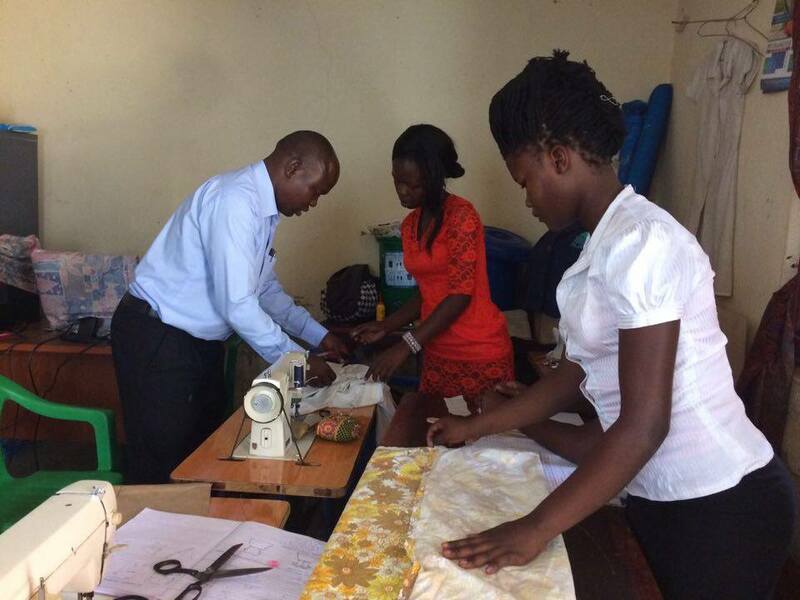 Today's trainee tailors working hard in the Hope for Life vocational training centre. Today is the start of a month where UK residents will be voting for their next Prime Minister, One Direction will be getting ready for their European tour and Will and Kate will be hoping that their newborn child (Girl, Charlotte, 7lb 6oz) will arrive at some point in May, earlier the better. May is also the month where many will be Matching money spent & donating it to the families we support in Uganda. 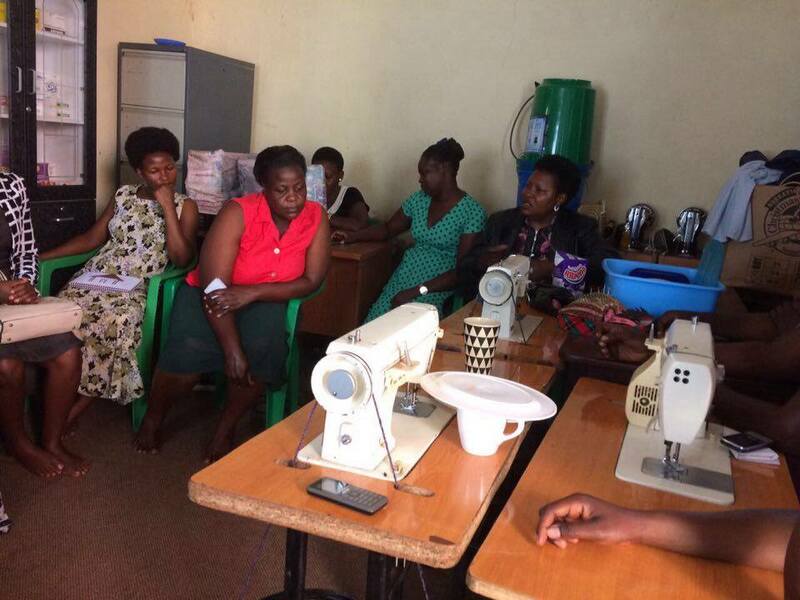 Last years raised money was used to provide 60 individuals in Uganda with training and loans to help develop their businesses, all taking the next steps towards living a self-sufficient life. Why don't you join us? Watch the video below, choose an item to Match and perhaps even get your kids and friends involved. We had such a good day handing out lots of dresses and shorts made for us by many people all over the UK. 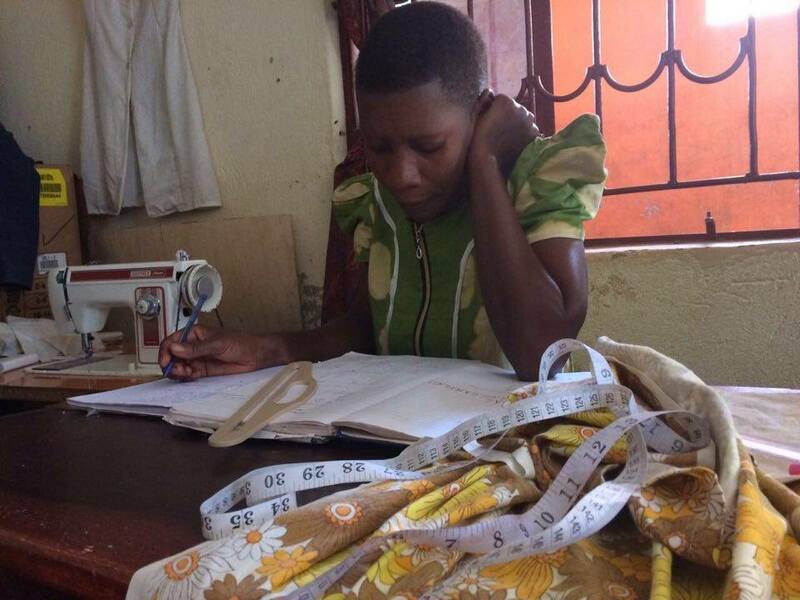 We received many dresses from the charity, Dress a Girl Around the World UK, The Blue Room, an art and craft shop in Nailsea (near Bristol), and many individuals who are passionate about both tailoring and seeing smiles on the faces of those less fortunate around the world. A couple of pictures I particularly like are, the girl holding tight her new dress and the class praying, being thankful for those who have made and given each of them a new dress or pair of shorts. 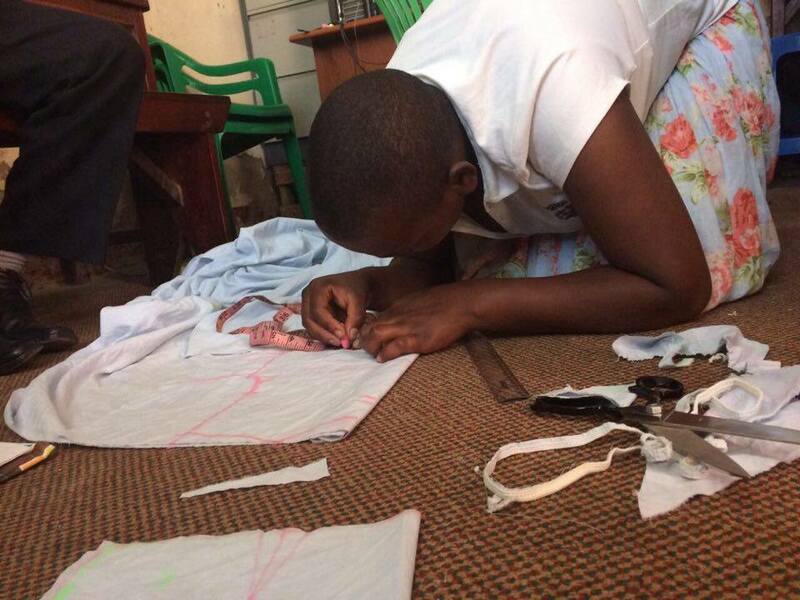 We really want to say thank you to all those who have contributed and made dresses. We have given out more dresses and shorts to those in Katanga but we aren't able to share them because of child protection reasons. We are saving some of the clothes to give out over Christmas to many more children throughout the community. 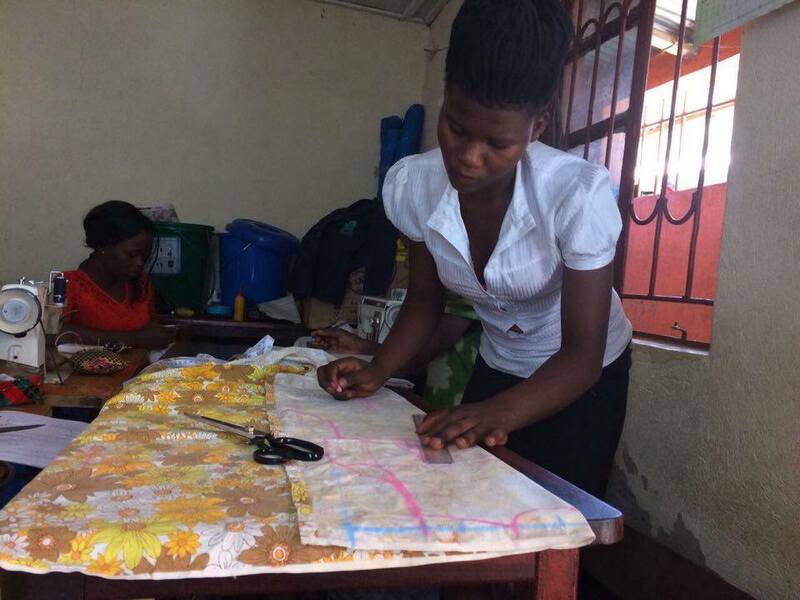 Below are just a few pictures of the women in our Livelihoods program, who share a passion for tailoring. 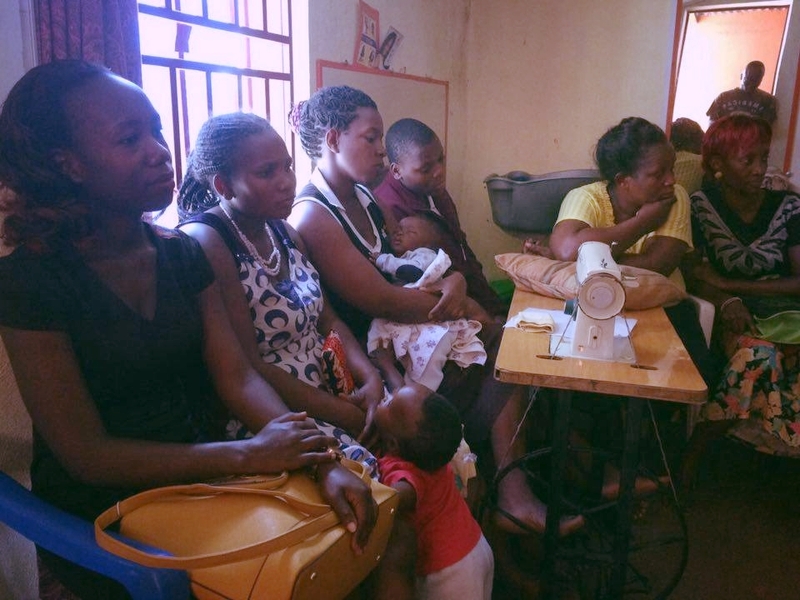 If you would like to find out how you can support these families in Katanga Slum, Uganda further then fill out the form below and we will be sure to get back to you with some ideas. We have bought home lots of hand-made crafts to sell back here in the UK. I had the joy of spending time with these amazing people over the past month, trying out making a bag for myself, understanding how much work and effort goes into making them. We will be selling them at the Nailsea Tithe Barn Christmas Fair on the 29th of November and at the Tesco Nailsea Christmas Fair on the 13th of December. If you are local then come find us. 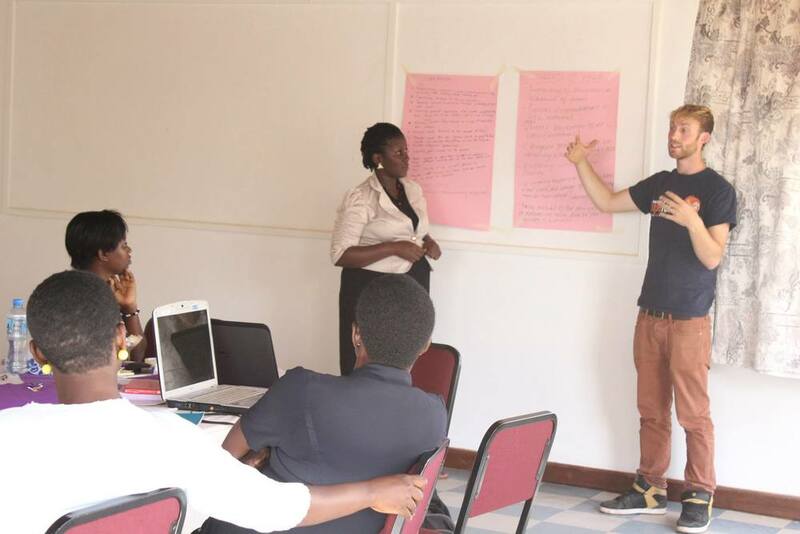 Today was a day of staff training, catching the team up on our broader vision and working out how we can practically fulfill that vision from day to day in Uganda. Of course we had lots of food and laughter, getting to know each other a little bit more, especially as Megan and I had only met 4 of our staff members for the first time this visit. It is investing in days like these that a team can really unify as we aim to be a solid support for the families we work with in Uganda. It was so fun to meet the new children in our catch up classes. There are only a couple remaining from when we were here last because all the previous children have been sponsored into a school in the city. The sponsored children have a inset day tomorrow so we will get to see them all for the first time this visit. Because they are normally at school during the day, we don't get to see them easily, just evenings and weekends. We had fun playing and getting to know the children; fun and laughter translate in any language. Megan and I are here to do some 'proper' work too, reviewing our programs efficiency. Megan is reviewing the success of the loans we have given out to different individuals. Whilst we are looking at the papers, one of the mums has come into the Livelihoods building to make liquid soap to sell. Maureen, the Livelihoods Officer, talked us through how to make the soap... a lot is involved; mix the right ingredients and quantities together before mixing the liquid every few hours for 24 hours, you can then add the scent you want, bottle it up and it is then ready to sell. We were just about to leave the slum, when the famous Ugandan rain began to pour.